Are probiotics good for your skin? Are probiotics good for your skin? Are probiotics good for your skin? Hi loves, happiest of fermentation Fridays! Ever wondered if probiotics are good for your skin? The answer is yes yes yes! In honor of my favorite holiday I wanted to share my personal history with probiotics. First off I want to clarify what probiotics are, probiotics generally refer to live bacteria and yeasts that are good for your digestive system. It’s a simple explanation for a life changing group of happy gut bugs. I never really gave much thought to probiotics until a friend brought me to a fermentation workshop in 2014. I learned about the benefits of probiotics and how to make my own fermented foods at home, on that day, my game was changed. I personally love arduous kitchen crafts so I took to home fermenting immediately. I began eating my probiotic home ferments everyday and seeing some major changes. Pre probiotics I had dull, sensitive, acne prone skin, and I was very self conscious about it. After a few weeks I started to see changes in my skin, my breakouts were dissipating, I was ecstatic! As the weeks went on I started getting complements from friends, multiple people commented on my new glowy skin. My only lifestyle change was the probiotics, it was a dramatic shift that inspired me to share my fermentation practices on my blog and social media platforms. I’ve even gone on to offer DIY workshops to help spread the word about the power of probiotics. Until now I’ve been hesitant to offer suggestions on how you can incorporate probiotics into your life without coming to my workshop to get my trusty probiotic starter. Luckily I found a completely transparent and trusty probiotic purveyor that actually works!! Silver Fern Brand is the first wellness supplement company that I am excited to share about! I’m so happy to find a great probiotic that I can suggest to you and have on hand when I’m unable to eat my Home ferments. For those of you who don’t have the time or desire to make your own probiotic food, Silver Fern Brand’s ultimate probiotic is the solution to healing your gut in 2018. This probiotic supplement is superior to its many competitors because of three specific classifications. Pharmaceutical grade: meaning it has at least a 99% purity grade. It’s just high quality probiotics with no fillers! If y’all are looking to try a probiotic, I’m all about this one! In addition to probiotics they have a trusty multivitamin and energy drink mix! 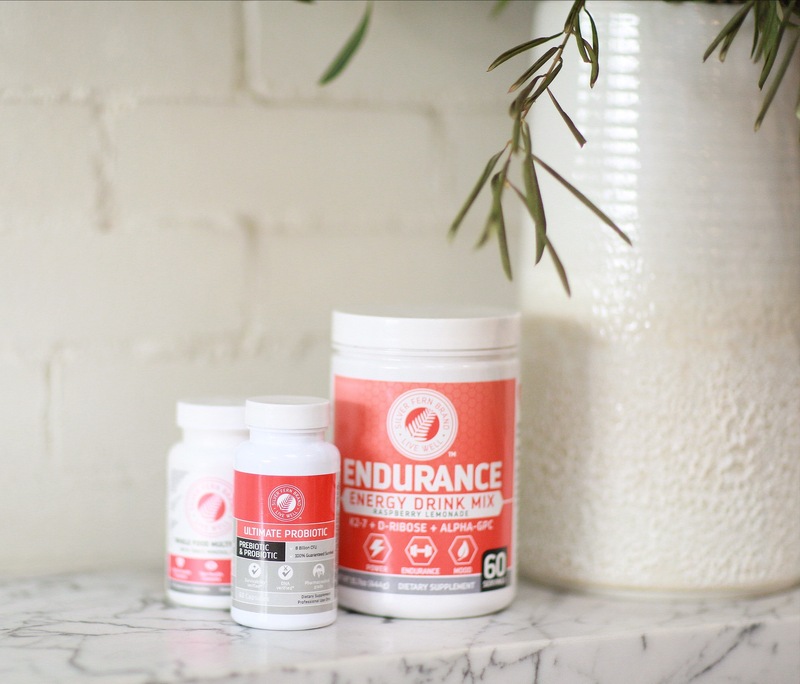 If you have an active lifestyle and need a boost I highly suggest their endurance energy drink mix. I’ve been adding the yummy dye free raspberry lemonade to my water in the am before I do my French Girl Fitness Plan. Take a second to check out Silver Fern Brand and let them help you love your best life! 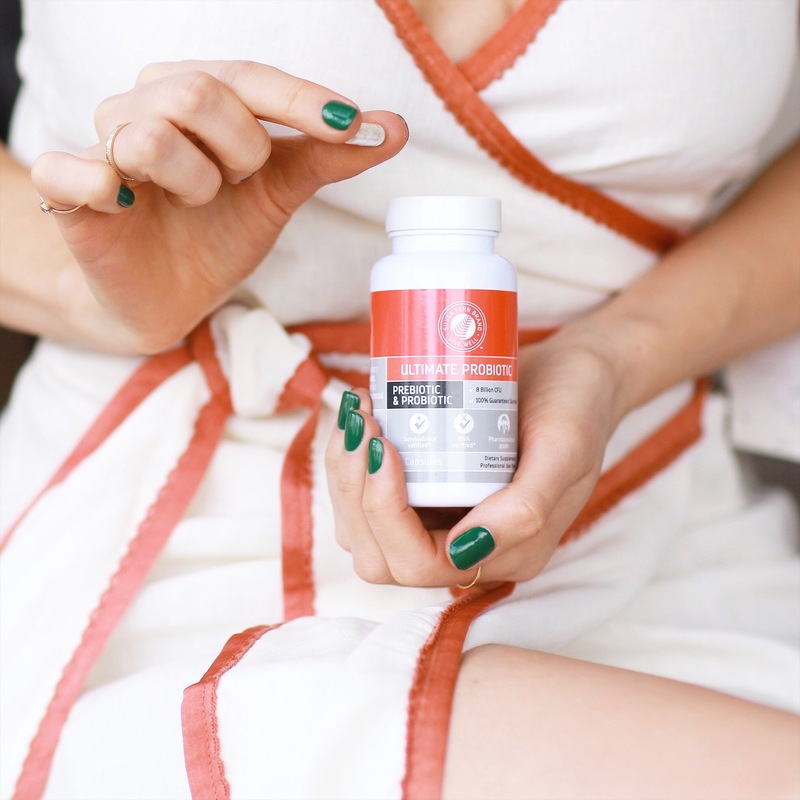 I’ll be taking my ultimate probiotic capsules on the road wherever 2018 may lead! Click the photo below to try Silver Fern Brand. Is sugar giving me acne? "WINTER SKINCARE GUIDE, GREEN BEAUTY TO PROTECT YOUR SKIN FROM THE ELEMENTS"
"SKIN HYDRATION SMOOTHIE, EAT YOUR WATER, PLUMP YOUR SKIN"
Do you know of a vitamin C serum that is relatively inexpensive, for those shopping on a budget? Have you ever done a step by step video of how to make your ferments? Or would you be willing to for people who live in other states?